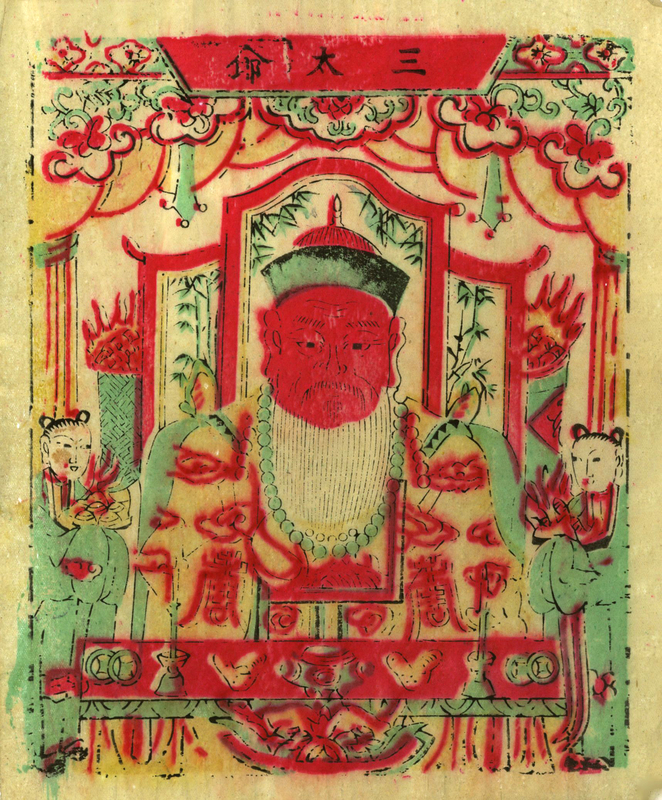 This is a new year print of (Hu) San Tai Yi 胡三太爷, one of the home protectors worshiped in the villages in the North East China. The most famous ones are saint Hu (胡) and Huang (黄), both Hu and Huang is a common Chinese surname, it is however referring to two animals the fox (狐狸) “Hu Li” and the weasel (黄鼬) “Huang You”. Out of respect, their real identity is disguised and humanized. San Tai Yi, is the most powerful home protector, he is the brother of the legendary Nine Tails Fox Goddess who helped Yu the Great to calm the floods in prehistoric China (2200BC).